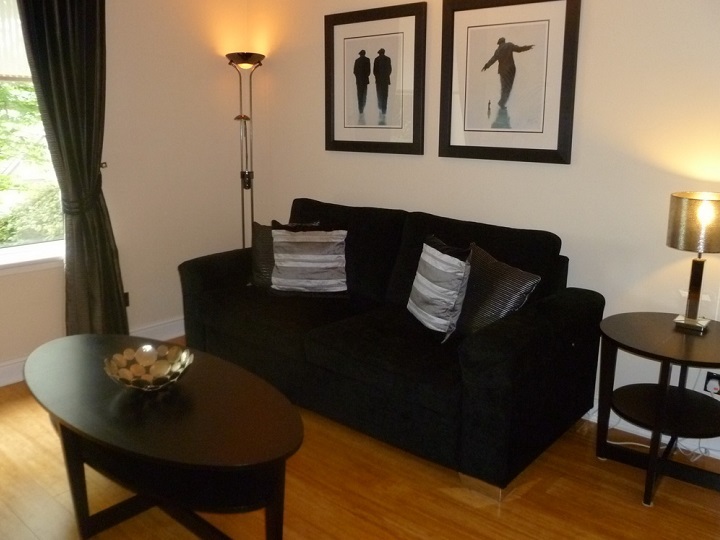 Welcome to Sherbrooke 4 Star Graded luxury Self Catering Apartments providing your perfectly positioned “Home from Home” in Glasgow. Close to City Centre just 5 minutes away, but a tranquil haven from the hustle and bustle, you can experience the best of both worlds. 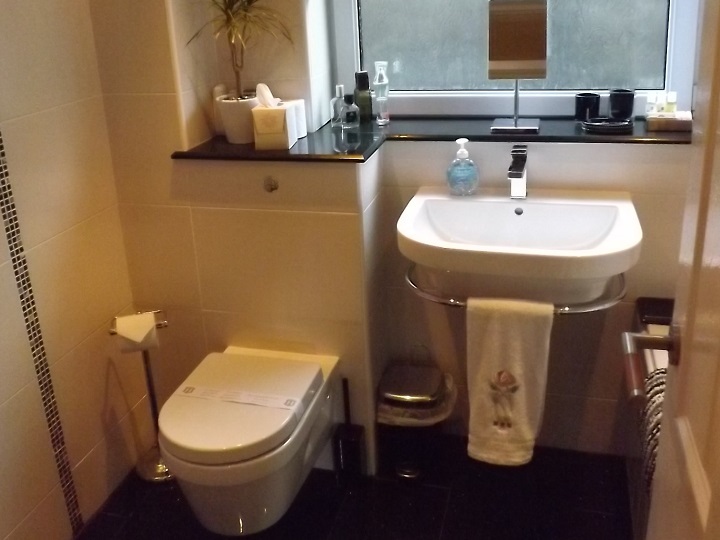 Elevated and set well back from a quiet road surrounded by trees and garden, you can enjoy wonderful views north over the city to The Campsie Fells and The The Trossachs which are the beginning of the highlands! Just a 40 minute drive away. A leafy green environment in Summer and even better views as the Autumn leaves shed and fall. Apartments have a tranquil and safe atmosphere and are quietly situated on the Ground Floor of a small, private residential apartment block in the highly desirable Millionaires’ district of Pollokshields, Glasgow – the first garden suburb with its grand Victorian architecture, one-minute walk from the exclusive Sherbrooke Castle Hotel. Small local general store nearby. 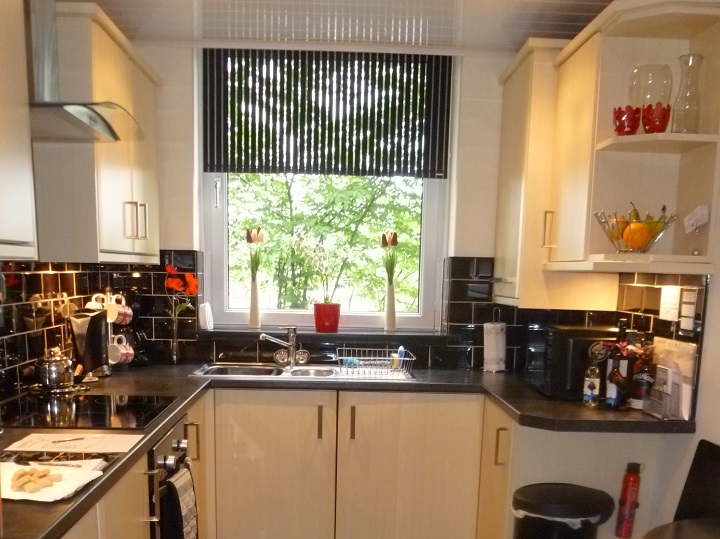 Within easy walking distance of Pollok Country Park, Bellahouston Park and Maxwell Park. Buses/trains to City Centre nearby. 5 mins to City Centre. 2-3 minutes drive to enter the Motorway network giving you easy access to go wherever your heart’s desire takes you. 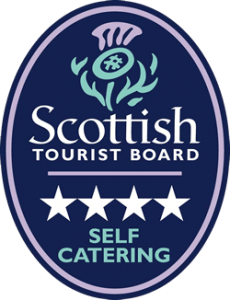 You will find yourself ideally situated to make the most of the wonderful City of Glasgow with its museums, culture and friendly people or centrally situated in order to make the most of places such as Edinburgh, Loch Lomond, Stirling Castle and beyond. Quality Assured by The Scottish Tourist Board. On-Site Parking for Picking up and Dropping off. Edinburgh Airport – 40 minutes. Glasgow Prestwick Airport – 40 minutes. Glasgow International Airport – 10 minutes. 2 minute walk to Dumbreck Station on the Paisley Canal Line. 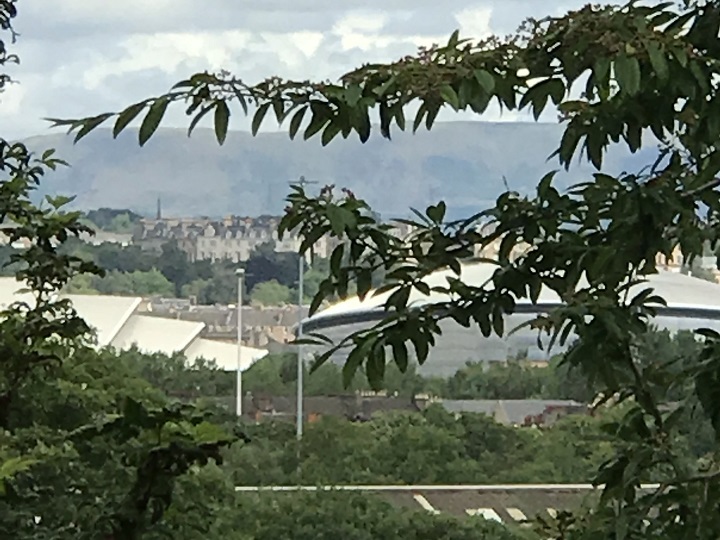 Motorway Access is 2-3 minutes Drive Away for easy access to M8,M77, and M74, making Sherbrooke an excellent location for being able to explore the City of Glasgow and beyond. Note: Rates may be subject to change. Please enquire for an accurate quotation. If you would like to make a no-obligation enquiry or if you would like to book please contact Michele George using the enquiry form or the email/telephone details below. 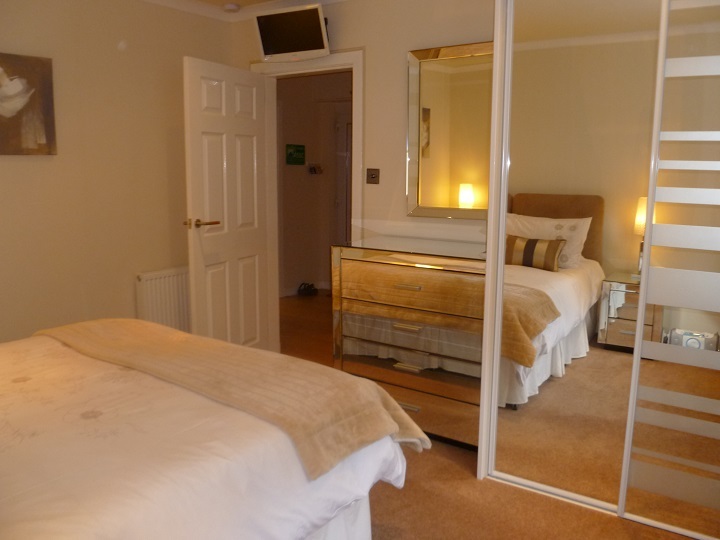 If you have any queries before deciding if this accommodation is suitable for your requirements, please don’t hesitate to get in touch for any information.